South Dakota Soybean is committed to increasing the availability of biodiesel in our state. The South Dakota soybean checkoff has invested in a number of programs to help make biodiesel use a reality for people across South Dakota. Currently, SD Soybean has compiled a list of biodiesel distributors and retailers in South Dakota. 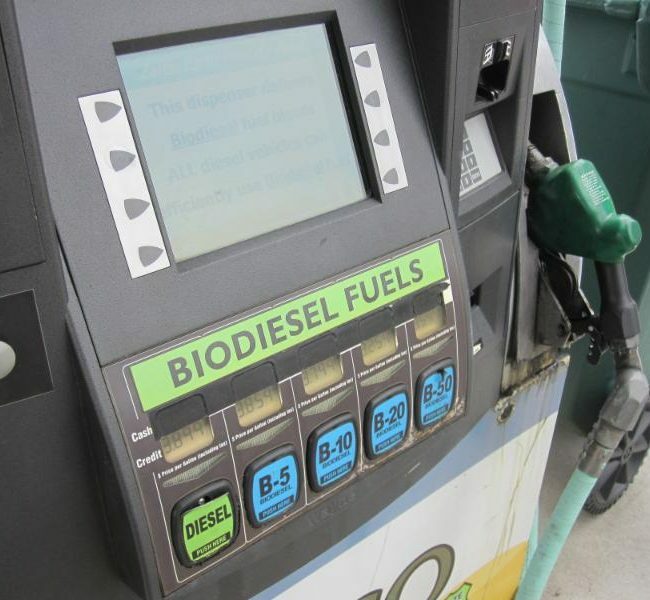 Find biodiesel at these locations. Traveling out of state? Use the National Biodiesel Board’s Biodiesel Locator to find distributors and retailers across the country. You can also download the “Biodiesel Now” app for Android or iPhone. We strive to keep our lists as up-to-date as possible. Please contact us if you know of a location that is not on the list. Bulk Delivery. All blends available.